Ask me who won the Super Bowl last year. Or which teams were even in it. Was it the Deflate-gate game? Did Janet Jackson’s top fall off mid-halftime-show? Was Lawrence Taylor MVP? I’m not proud of my ignorance, but at least I have some company. As we head into Super Bowl 51 weekend, there’s a good chance that one of my daughters might ask me with a straight face if the Knicks are playing in it this year. Sorry to deliver on gender stereotypes here, but the women in the DALS house are shameful football fans. I’ll tell you one detail about 2016’s game that we can all remember, though: Heidi’s Ohio Sammies. 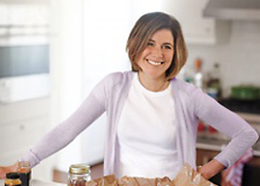 Heidi, you may recall, is the genius behind the Hummus Hack, and last year, when she and her husband Will invited us over for a Super Bowl party, she blew all our minds when she presented a tray of buttery baked ham and swiss sandwiches that had been in the works for 24 hours. I know, what’s the big deal about ham-and-cheese sandwiches? Well, for starters they’re made with sweet Hawaiian rolls — what Dayton-raised Heidi calls a “midwestern speciality item.” (You can use slider buns or challah, too.) But what takes them from good to great, in my mind is that once they’re assembled, the sandwiches are “pressed,” panini-like for hours, allowing them to soak up the buttery-mustard sauce that’s been drizzled on top of them. Yes, buttery-mustard sauce. Anyway, we are lucky enough to invited back for Ohio Sammies as we watch the Steelers take on the Braves this Sunday (what? 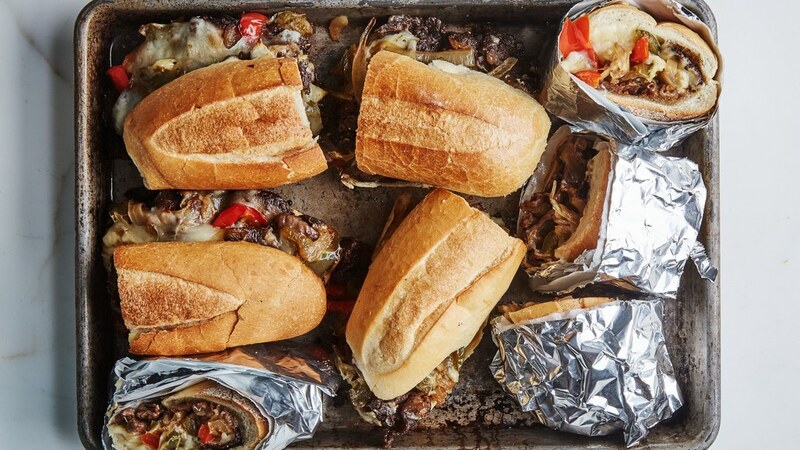 ), but below is her recipe along with two other Sammie ideas for Super Bowl Entertaining: The vegetarian sub from my book (shown above, the one on top) and Bon Appetit‘s steak sandwiches that I have been coveting every single day since spying them in the magazine a few weeks ago. My favorite thing about all of them? They’re easy to eat on the couch and you can prepare them ahead of time. 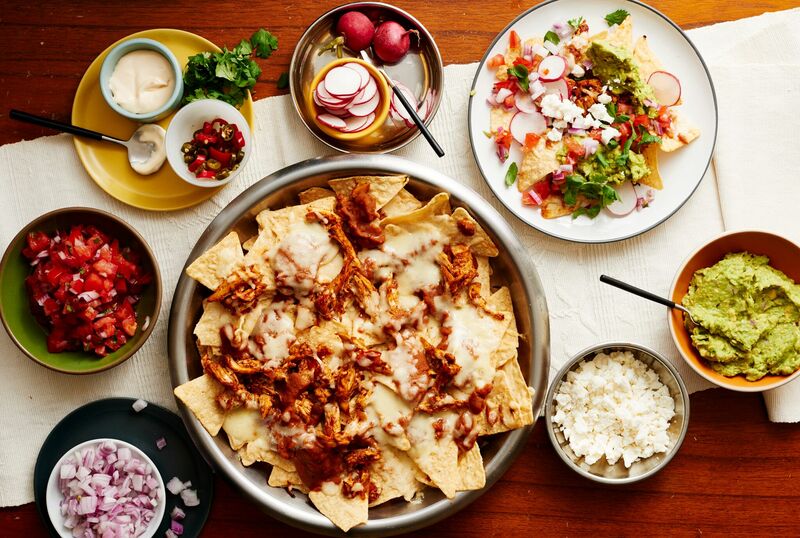 Add some beer and chips and you’ve got yourself a game. Go Yanks! I was not smart enough to take a photo of Heidi’s Ohio Sammies when she made them for us last year. This pic comes close (it’s from The Clever Housewife who has her own version) except for the fact that they’re not pressed flat, which is crucial. (Don’t forget to leave yourself at least four hours for that.) Below are instructions in Heidi’s words. A dozen Hawaiian bread rolls – this is a midwestern specialty item so if I can’t find them here in New York, I get six nice big Challah rolls. Or sliders? Place all the rolls in a 9 x 13 baking dish. Smear a bit of mayo on one side and Dijon on the other. Arrange a few slices of ham and cheese on each roll. Melt the butter in a small saucepan. Stir in 1/3 cup of Dijon, and drizzle the mixture over the finished sandwiches. Cover the sandwiches with with aluminum foil, and place something heavy (like a pan or dinner plates) on top, so the rolls are slightly weighted down and can absorb the butter-Dijon mixture. Let sit 4 hours and up to overnight. Cover with foil and bake at 350°F for 20-30 mins until cheese is melty. You can also take the foil off for the last 5-10 mins if you want them a little brown on top. We’ve made this for birthday parties alongside a classic Italian sub (both recipes are in the birthday section of How to Celebrate Everything) and it usually serves about five kids or four adults. Slice the baguette in half lengthwise and on the bottom half, start by layering the avocado and cheese, slightly overlapping as you go. Lay down the cucumbers in two adjacent rows, overlapping slightly, on top of the cheese. Distribute the tomato halves, overlapping as well, then the lettuce and onion. When ready to serve, whisk together the red wine vinegar, olive oil, and oregano until emulsified, then drizzle on the top baguette half. Spread the mayo on top of the vinaigrette. 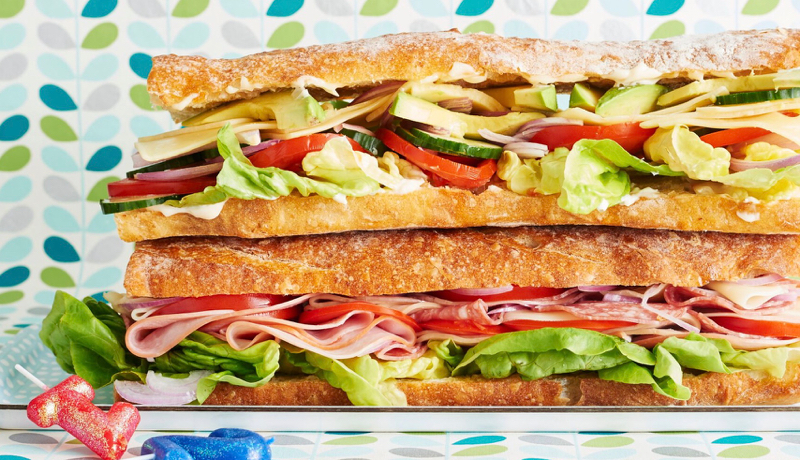 Close the sandwich with the top baguette half, then place on a cutting board and slice into separate sandwiches. 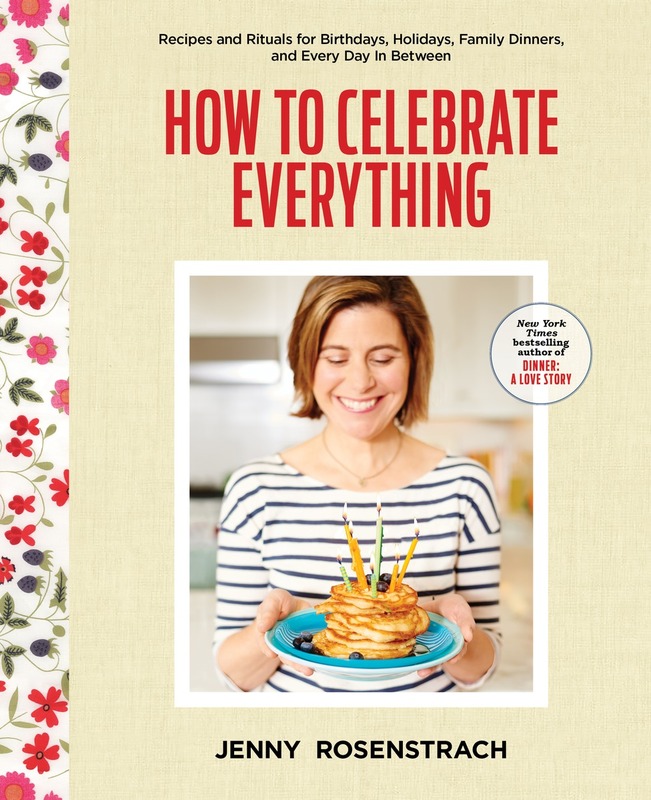 Related: “Big World Event Nachos,” (page 264 in How to Celebrate Everything) are never going to be a bad idea. As a native Atlantan, I’m excited that the Falcons are in the Super Bowl and just hope they perform better than the last time, when I spent a whole party apologizing. (And I don’t care about or really follow professional football. College football is a different story.) These sandwiches look great! I remember a similar sandwich to the Ohio Sammies on the Pioneer Woman’s website that I always wanted to try. Maybe this is the year. I make a similar Ohio Sammie but we always added poppy seeds to the butter/mustard mixture as well. 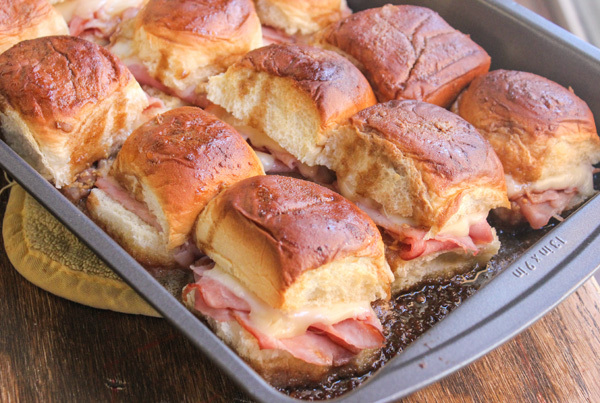 I never realized that those ham and cheese sliders are a regional thing– if there’s a potluck big or small here in southern Illinois, those sliders are present! You don’t have Hawaiian rolls in your supermarkets regularly? Who knew?!? I live in Chicago-burbs, and they are in all the stores here. My friend also makes a version of the ham/cheese sandwiches for parties, but I don’t think her version is pressed. Her sandwiches look like the photo you included. Our tradition is to make the Pioneer Woman’s potato skins for the Super Bowl. These sandwiches all look amazing and I can’t wait to try them! As an Oregonian, I can assure you that Hawaiian bread is more than a Midwest thing. King’s Hawaiian is the brand widely available here and I just did a quick search at the company’s website which tells me that the rolls are sold in D’Agostino supermarkets and Target stores in Manhattan too. 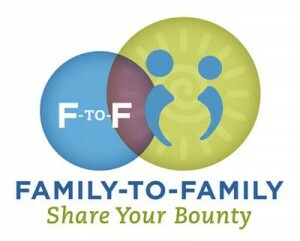 If you have one near you, it might be worth checking. I’m pretty sure I’ve seen Hawaiian Rolls at the Stop and Shop in Ossining. I think they were over by the deli section, not in the bread aisle. Yep, those Ham and Cheese on King’s Hawaiian rolls show up at most family gatherings here in Virginia, but poppyseeds are added to the sauce and I don’t think they are usually pressed… will have to try that next time! The Ohio Sammies are very similar to a friend’s addictive ham sandwiches. One friend just calls them “The Little Sandwiches” and we all know what they are. She uses Parker House rolls, country ham, and a mixture of butter, dijon mustard, and brown sugar. I rarely eat ham but I could eat an entire plate of Ohios or Littles on Super Bowl Sunday. First time poster and long time fan of DALS, us single gals love you too! Your last post on the political/dinner table climate was absolutely spot on, and I’m so glad you shared. We always called these party sandwiches. I just use Martin’s potato rolls in the slider size. Super rich but really yummy. lol are the knicks playing. sounds about right.